Google may debut its new YouTube subscription service as early as this year. Advertising is, for many websites, a necessity of life. While they might not enjoy forcing annoying ads down the throats of their readers and viewers, their survival can often depend on squeezing every last penny they can out of their content. Luckily, if you're one of those people who simply can't abide advertisements, many sites provide built-in options to help you support your favorite content while also slipping past the latest Geico jingle. Now, it appears as though YouTube may very soon be one of them. 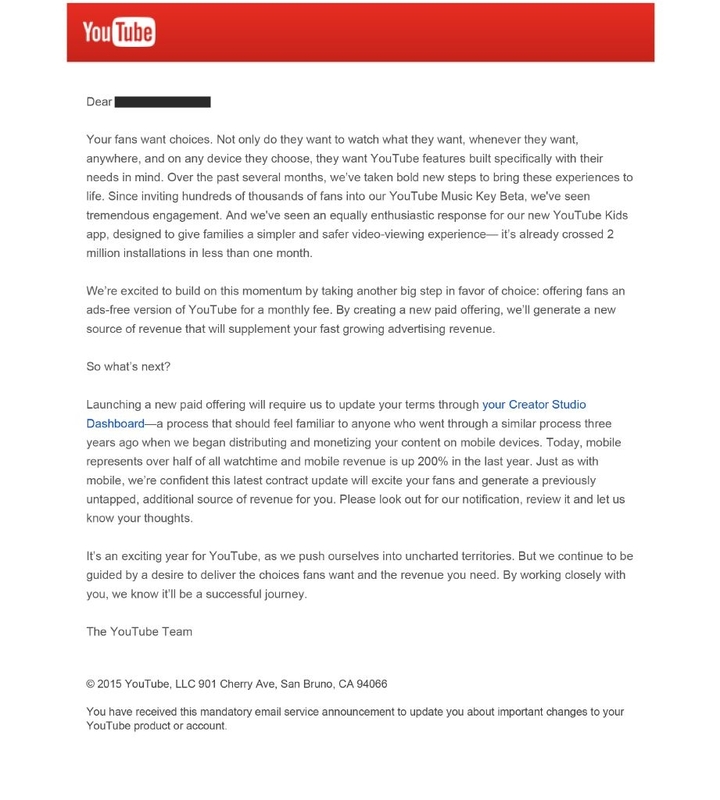 According to a letter recently sent out to content creators, Google is currently working on plans to launch a new subscription-based version of YouTube. Users who sign up for the service will be able to play a flat fee that, in turn, give them access to all of the site's millions of videos without have to deal with any advertisements. While no pricing has been revealed for the service as of yet, Google affirmed that it will share profits from user subscriptions with creators who publish their videos on YouTube. There is no official word as to when the new service will launch, but anonymous sources have indicated that it could debut as early as this year. While the new subscription options will likely be welcomed by many of YouTube's viewers, one can't help but imagine that its independent content creators could find themselves feeling a bit apprehensive about what the new service will mean for their bottom line. While Google has promised to share revenues, YouTube overall has something of a bad record when it comes to the way it treats its creators. To put things more succinctly, we'll be interested to see just exactly what Google has planned.